Platelets in a blood clot. 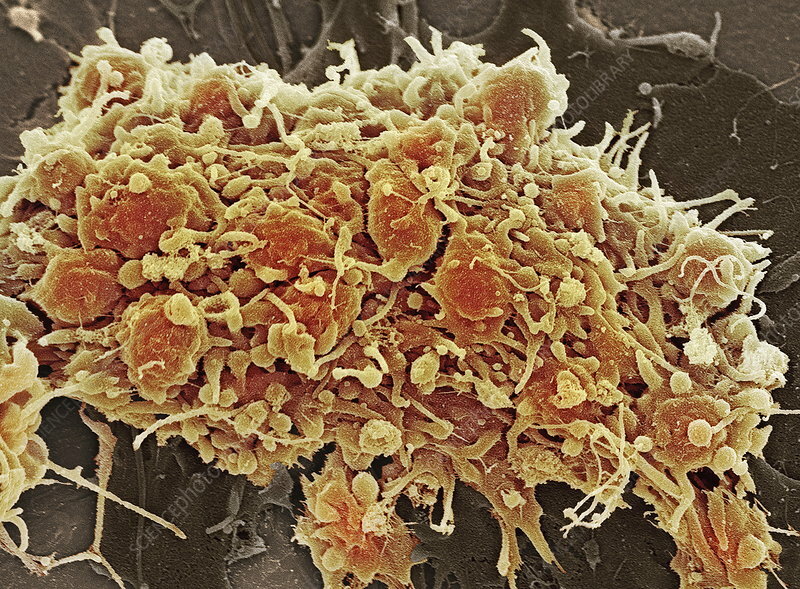 Coloured scanning electron micrograph (SEM) of platelet cells (thrombocytes) in a blood clot. They are oval shaped, but when they meet damaged blood vessels they become activated - releasing chemical factors and turning into spiky spheres. The chemical factors cause fibrinogen to come out of solution as fibrin fibres, catching platelets and other blood cells and eventually forming a solid clot. Magnification: x4600 when printed 10 centimetres wide.